At Watkins Architect, we would like to give thanks to the non-profit organizations that we have worked with in the past. After designing and working on a project, it is not the job that forces us to look deeper into who we are designing for, but the interest we have for any design project put on our plate. We want to acknowledge some of the local non-profits that we have helped out and share some information about each of them! Mary’s Shelter strives to help out pregnant mothers who may need assistance to assure a bright start to their newborn’s life. Whatever the case may be, they give the mothers a shoulder to lean on when looking into the right steps for getting on their feet and not only helping themselves but their child’s introduction into life. Struggles are a part of life, but there is no need to be alone through them. Consider giving back to Mary’s Shelter by donating today. Haven House is located in Allentown, PA and strives to provide additional support for citizens who suffer from mental health disorders and give them comfort in a process of healing and care that their clinic provides. Nobody is excluded; they want the best health level of care and security for people who need some extra help with reaching their desires. Since 1957 their services have been provided, and they will keep moving towards a goal to get everyone the support they need to lead a fulfilling life. Consider giving back to Haven House by donating today. Lastly, Prospectus Berco is pushing towards an environment where people can live the life of their choice even if they suffer from mental or physical disabilities. No matter the support needed, they are there to help anyone of any age live a free life where they can smile, be happy, and not worry about the negative opinions that could be cast onto them from others. We are all human, with the same feelings, hearts, and minds. 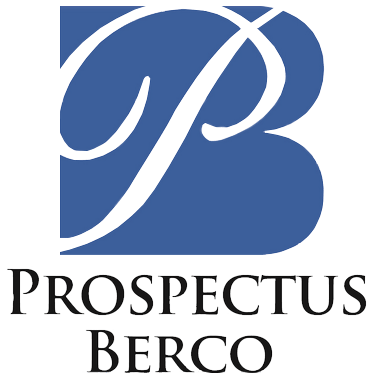 Consider giving back to Prospectus Berco by donating today. We stand by these non-profits to the fullest extent and can’t be prouder that we are able to help work with them to reach out to others and continue to be a positive aid in the community. Watkins Architect is a local architectural firm that can handle everything from designing your project to managing it. Watkins Architect handles all types of architecture projects from residential, commercial and industrial to religion, townships and educational. We work with individuals and businesses throughout the Berks County, Lehigh Valley area and Pennsylvania area for their architectural needs. Browse through our portfolio to find out what architecture projects we have completed.